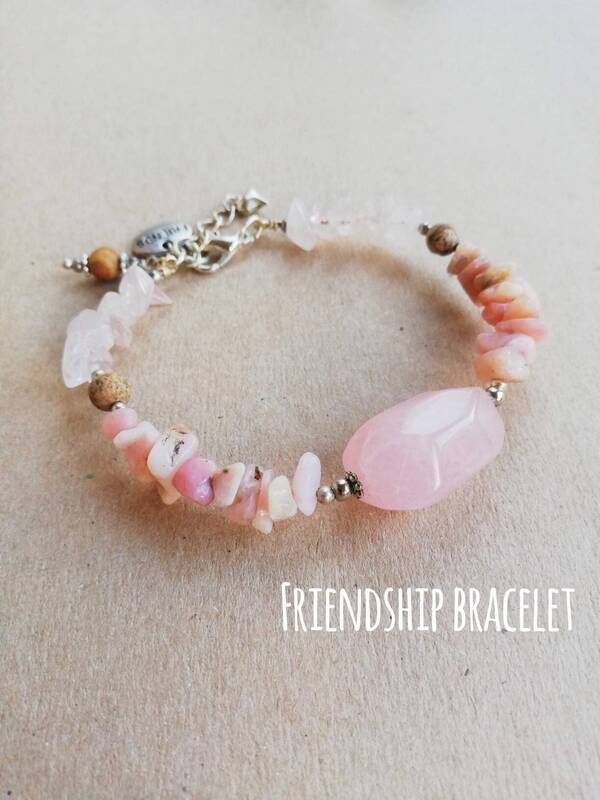 I wanted to make a collection of gemstone bracelets celebrating female friendships. 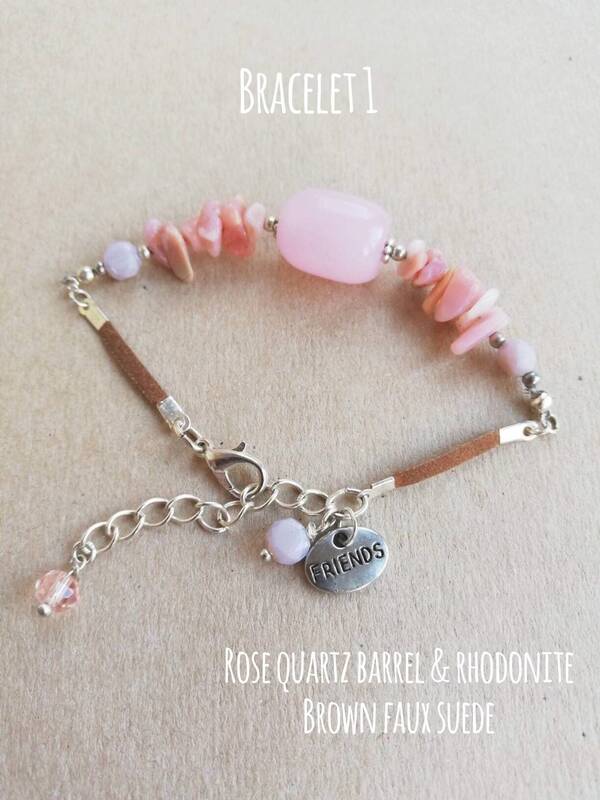 This listing has two rose quartz bracelets in pink and peach colours and each bracelet has a 'friends' silver charm. 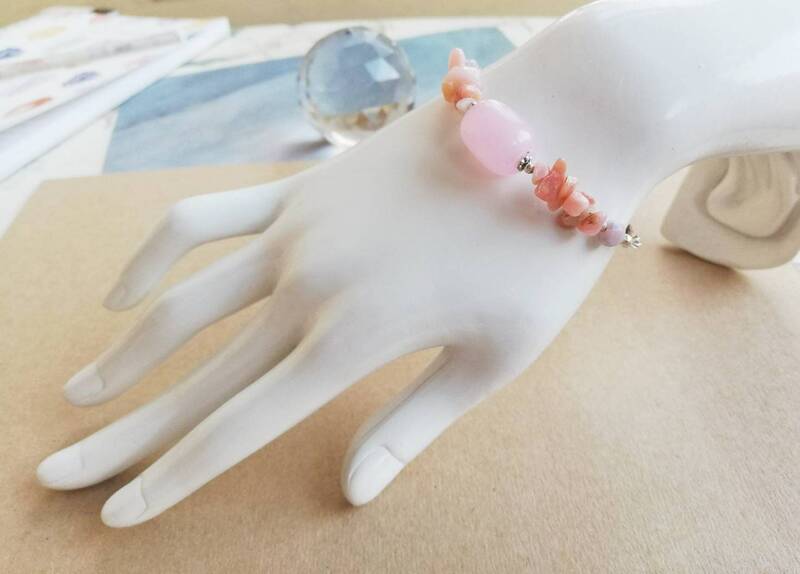 I chose rose quartz as the qualities associated with this semi-precious gemstone are a great match for love, friendship and celebrating feminine strength and beauty. 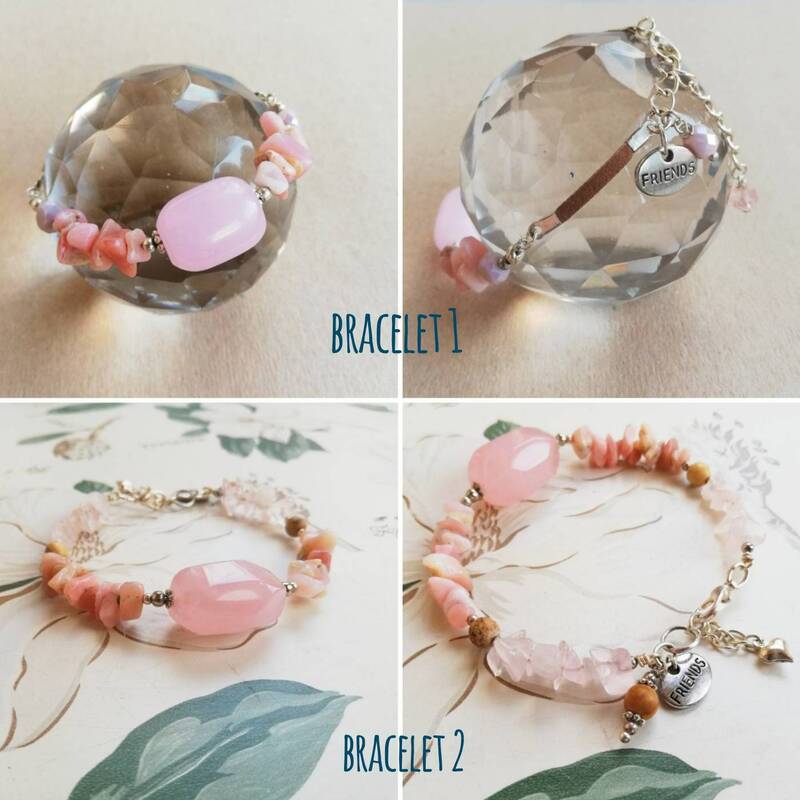 They are both very similar, as I love this colour and crystal, but bracelet 1 includes a length of brown faux suede and bracelet 2 is full gemstones, including both calcite and rose quartz. Measures 15-19cm (5.9-7.4") which is a MEDIUM-LARGE ladies size. 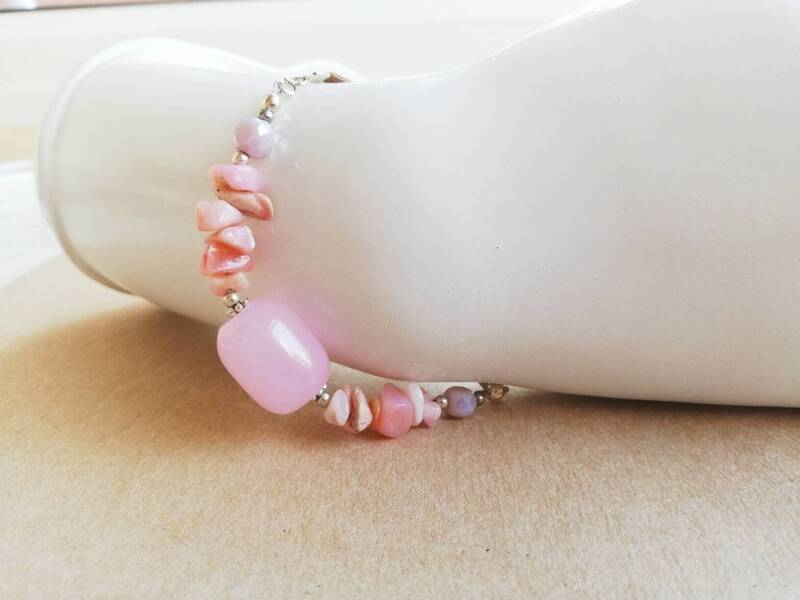 This bracelet has a rose quartz pink barrel bead matched with pink calcite gemstone chip beads. It has a light brown length of suede cord to finish. 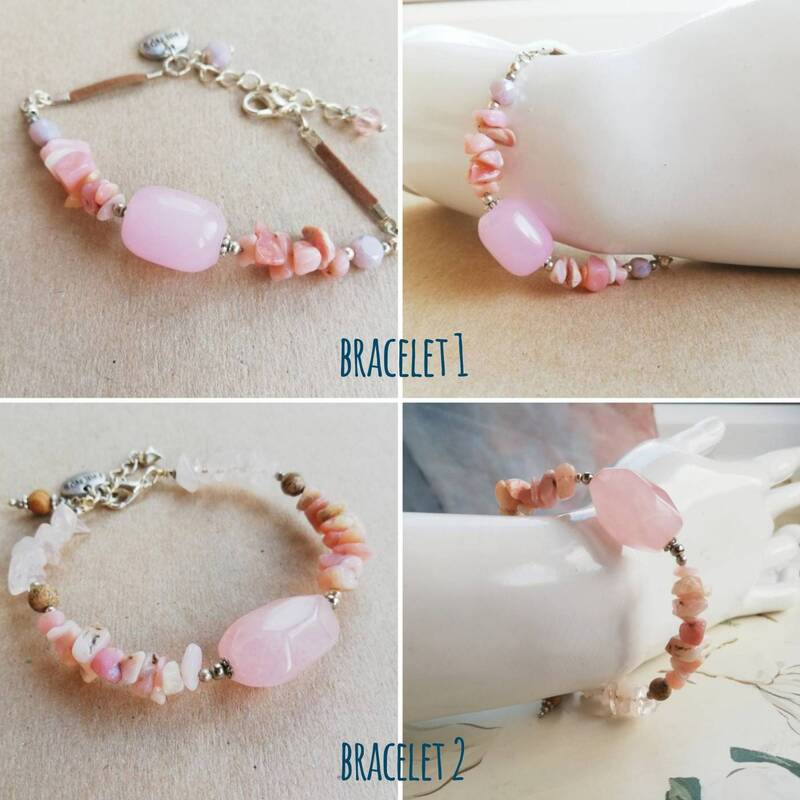 This bracelet has an extender chain meaning the fit is adjustable with pink charms. 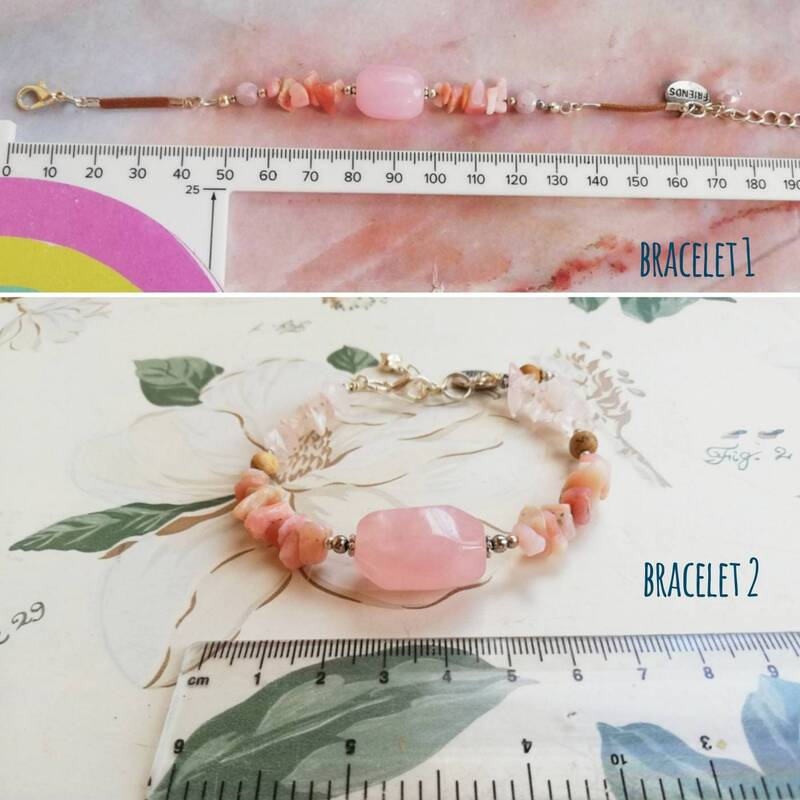 Measures 18-20cm (7-7.8") which is a MEDIUM to LARGE ladies size. This bracelet features a faceted rose quartz barrel bead (2.5cm long) with pink calcite gemstones, agate beads and rose quartz chip beads. This has silver coloured beads, extender chain (making the fit adjustable) and a small heart charm. Please select your choice of bracelet in the drop down menu. 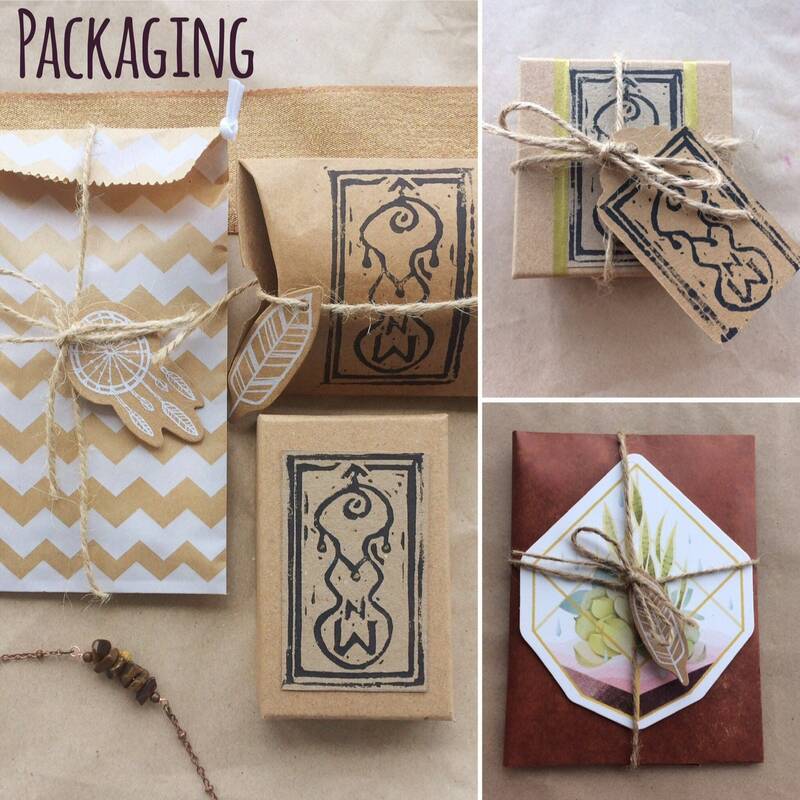 All jewellery is presented in hand finished lino printed packaging. I offer gift wrapping and am happy to include gift messages.